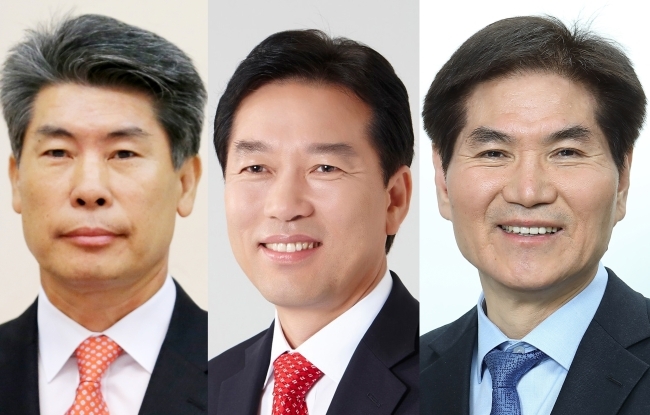 President Moon Jae-in on Tuesday appointed three new senior aides and established a special committee for income-led economic growth. This is the first reshuffle of top presidential aides since Moon took office in May last year. “If the past year was focused more on setting the direction, and drawing the outline of (the policies of) the Moon Jae-in administration, the reshuffle reflects the president’s will to achieve results more quickly,” said Im Jong-seok, Moon’s chief of staff. The changes are also thought to reflect worsening conditions in the job market. According to Statistics Korea figures, the unemployment rate came in at 4 percent in May, the highest for the month since 2000, when the unemployment rate stood at 4.1 percent. In addition, the number of people finding employment has dropped to a nine-year low this year. According to Im, the new committee was formed under direct orders from the president, who named Hong Jang-pyo as its chief. Hong had until now served as the senior secretary for economy. “Hong was the first to suggest the wage-led growth, which is the root of the income-led growth,” Im said, adding that Hong is at the center of the administration’s economic growth plans. In place of Hong, Moon named Yoon Jong-won, a former director from the Finance Ministry. Yoon is currently the chief of the South Korean mission to the Organization for Economic Cooperation and Development, and has served as an executive director of the International Monetary Fund. Along with Yoon, Jung Tae-ho, presidential secretary for policy planning, was named the senior secretary for job creation. Jung replaces Bahn Jahng-shick. According to Im, Jung is widely recognized as a policy specialist in the country’s political arena, having handled policymaking and political affairs duties in past iterations of the ruling Democratic Party. Jung also served in several posts in late President Roh Moo-hyun’s presidential secretariat. Moon also named Lee Yong-sun, a district chief of the Democratic Party, as the senior secretary for civic affairs. Lee replaces Ha Seung-chang, who previously served as senior secretary for civic reform.